Say hello to Ms. Koizumi, a truly unique and quirky yet charming high school girl who loves eating�cRAMEN. Enjoy this delicious drama that�fs all about finding and eating at the top-notch ramen spots in Japan. Just be warned: you will really crave a bowl of hot ramen after watching it! 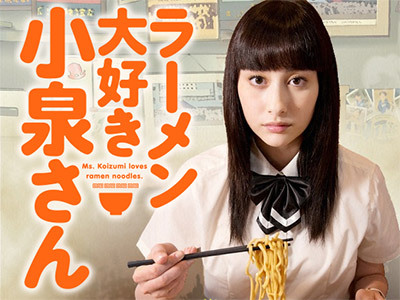 The only redeeming point of this "drama" is that showed actual ramen restaurants. As for the "plot" and "acting", I've seen episodes of NHK's "Dining With the Chef" that were more interesting.